By admin in Comments on December 13, 2017 . Comments are moderated and will be approved for publication as quickly as possible. The forum is not intended for prolonged discussions, but rather as a means to offer encouraging suggestions, and for Rosary to the Interior participants to communicate with one another. Since this entire prayer effort is primarily centered upon the local parish, and designed to promote a missionary spirit of individuals towards their local parish communities, there will be no attempt made here to organize events according to regional or state locations. God bless all of you for your efforts! This Rosary to the Interior: For the Purification of the Church is scheduled to occur at Mary of Mount Carmel Catholic Church in Long Prairie, MN at 7:00 PM on First Friday, Feb 2, which is the Feast of the Presentation of Our Lord and the Purification of the Blessed Virgin Mary. Notice of this event is published in the Parish Bulletin, and all are invited to attend. “all the sin, error and disunity existing now in the Church” ? Few would deny that there is much confusion within the Church, and that such sin, error, and disunity exist within Christ’s Mystical Body. It is integral to the very nature of this Rosary to the Interior: For the purification of the Church on Fab 2 that we do not elaborate. It is evident that there are a great many aspects to the crises that now pervade the Church, but we also know that there are a great many divisions even among the well-intentioned faithful who are engaged in the many apostolates struggling to combat these crises. The unique thing about the “Rosary to the Interior: For the Purification of the Church” is that it refuses to opt for any one particular cause or agenda in this struggle, but is focused solely on allowing Our Lady to do the work which has been entrusted to her by her Son, and which entails not only Her Triumph over sin and error, but the restoration of true Unity in His Mystical Body. I will participate from Spain. We are participating! I just got the approval of my Pastor at the Cathedral Parish of St. Patrick, Harrisburg, PA, 12:30pm. Mother Mary pray for us and our Church! Greetings from Poland! I took part in our rosary to the borders event (in Gubin) and it was blissful. And Virgin Mary was present (unexpected rainbow in the sky). 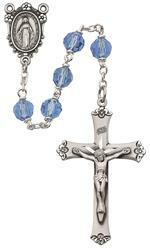 I am sure rosary will bring the blessing to US and all of you. So great to hear from you, Marta! Thanks to Poland for inspiring so many rosaries around the world; your suffering for the Faith is bearing beautiful fruit. friends who may also wish to join in prayer. thanks so much for this wonderful initiative!!!!! You are so so right…we need to do this and since I sent the message to my pastor and his answer was that we already prayed every Sat. for an end to abortion, we were doing what was important. It might be my fault in the way that I didn’t copy and paste…..I assumed that he would find and read the whole thing and feel disappointed, sad and guilty. If I new of a parish in my diocese that will do it (Arlington Diocese) I’ll be more than happy to join, otherwise, I’ll join everybody in spirit and pray for the success of this great initiative. May God bless you and anybody who decides to join! Please don’t feel sad or guilty. Our Lady knows your heart is in the right place. If you can’t find a parish that is hosting the Rosary to the Interior, simply pray for the intention anywhere you can find an open church; there should be several open on a First Friday. And if you can’t find an open church, then unite with us in your own home. May God, through the powerful intercession of the Blessed Virgin Mary, bless your effort and actions on behalf of His Bride and all souls! I have shared it with our Bishop, Priests, family and friends. On a personal note, Candlemas is my anniversary of my Consecration to Jesus through Mary! This is a tangible way to do something!!!!!!!!!! And the interior life of The Church is also in us. We must turn inward toward the Light of Christ and His Blessed Mother. Thank you!!! Count me in!!! It is a bit providential to find this now in my inbox as just last night my good friend and I were discussing the Smoke of Satan entering the Church and the darkness of the Church’s historically bright light in Society. I am passing it on through my network. God Bless!!! Thank you, Harry, and God bless! I forwarded the link to this site to our pastor, and he’s interested, but wondered what organization or individual started this effort. Can you please clarify? Thanks! The Rosary to the Interior: For the Purification of the Church is the work of a number of lay people deeply concerned with the state of the Church. It has more than one administrator. There is no single apostolate or agenda at its roots, but rather a number of people with quite different perspectives in regard to various issues in the Church. What unites them is a deep love and concern for the Church, and a strong belief that only Our Lord and Our Lady (especially through her Rosary) can sort all of this out, and supply the grace and power necessary for the purification of each one of us, and the Church as a whole. This is something which we all should passionately desire, and this effort is simply a humble and trusting effort to make this possible. I might add that this website has receive around 5,000 visits during the past 3 days. I hope this information might also assure your pastor that this effort is worthy of serious consideration and participation. Thank you! I forwarded this to our pastor. As president of the Catholic Media Coalition, I have encouraged all our members to promote this through their blogs, websites, newsletters, etc. I will also give a copy of this to my pastor, associate, and deacon and urge them to consider it. My husband and I will participate in this event by praying the rosary on February 2nd at our own or another local church. May the Blessed Mother prosper your efforts. Thank you, Mary Ann! Thanks to a good suggestion by another reader, we are making a few changes to the page for pastors so you might want to check back in a few hours to see if we have that done! May Our Lady bless you and the Coalition for your help. to be actuaⅼly something that I tһink I would never understand. forward foｒ your next poѕt, I will try to get tһe hang of it! Thank you for your openness to this effort. Your post offers an excellent opportunity for us to offer a further brief elaboration. If you are having trouble understanding what is on this website, we would suggest that it is not because it is too complicated, but rather because it is extremely simple. And if it seems too broad, this is because it is, on the contrary, directed in absolute simplicity in intention towards what we consider “the one thing necessary”: the opening of all hearts to the graces that are necessary for our own personal purification and the purification of the whole Church. In this “Rosary to the Interior”, we place ourselves and the whole Church within Our Lady’s Immaculate Heart and allow her to reveal thoughts, crush heresy, expose injustice and error, purify us of our prostitutions to the world, heal wounds, and usher in Light and true peace and unity to Her Church. In the midst of all the confusing things that are wrong in Our Lord’s Mystical Body, we here pause and truly allow Our Lady to do the miraculous work that we have always claimed is her mission from her Son. Thank you for elaborating on one of the comments in pointing out the simplicity of the “Rosary to the Interior” intention. In addition to purifying us of our prostitutions to the world, healing wounds, and ushering in Light and true peace and unity, it is focused, as you say, on our Lady’s disclosure of the problematic thoughts in the Church which have been causing confusion. This disclosure will help to open our hearts, as happened, for instance, for Blessed Dina Belanger (1897-1929), i. e. to promote the grace of substituting the faculty of thought belonging to the God-made-man for our own. With our Lady`s help in disclosing the situation of having self-centered inappropriate thoughts, our Lord in the Temple in the holy sacrifice of the Mass will, with consecrated souls` due worthy reception of our Lord, bring it (i.e. thinking with the mind of Christ) to become the norm in the Church. I have shared the “Rosary to the Interior” intention with our pastor and our prayer group will be participating in praying the rosary for this intention on the first Friday, February 2nd feast day of the Purification of our Lady and the presentation of our Lord in the Temple. Many thanks to James Larson, whose “War Against Being” blog has taught me a great deal. It is a fantastic idea. Of course, our prayer group prays the rosary on the first Friday (which also is Feb. 2) but I will share your proposal with our pastor, i.e. to pray the rosary for the purification of the Church (starting with our parish) and the triumph of Christ’s Light over the darkness which, as you say, is rapidly pervading our world. The Rosary to the Interior is what we need in these dark times. Our Lady will not let us down. I’m hoping for permission to hold the rosary in our Cathedral.